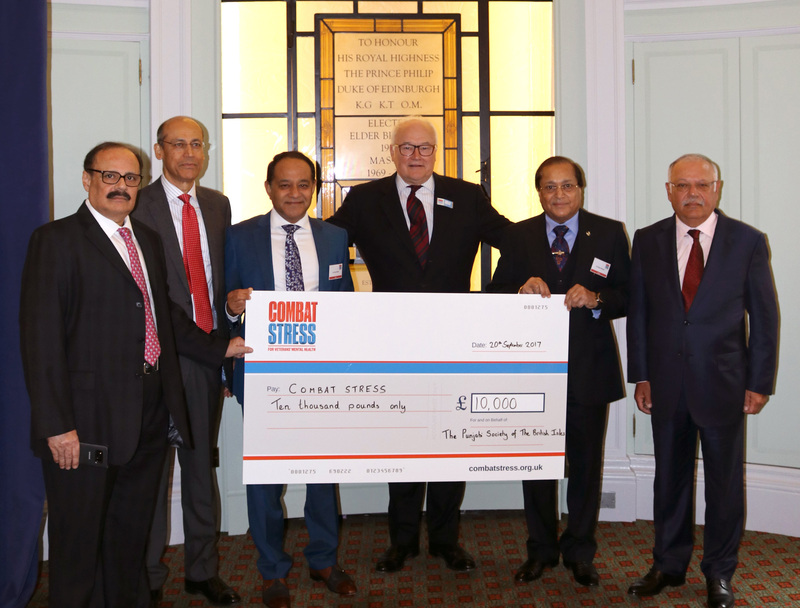 • The society is established for the purpose of bringing together the Punjabis as well as other people interested in the Punjabi language, art and culture. 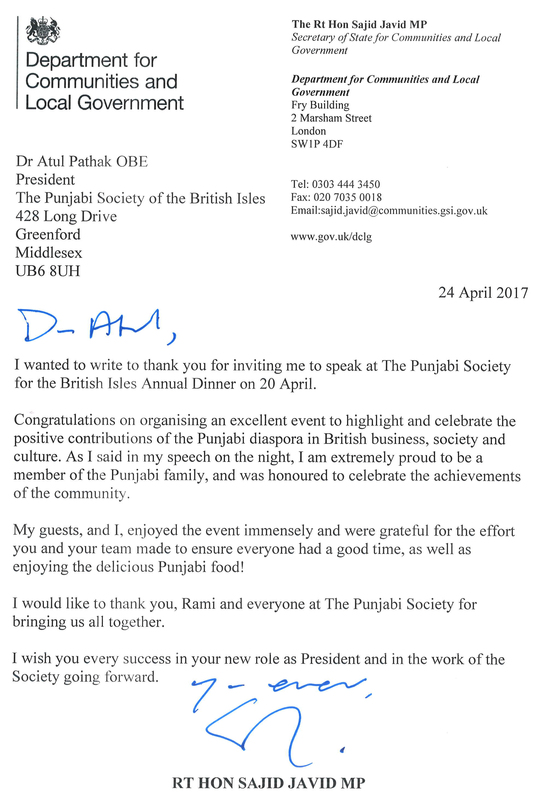 • For this purpose the society will organise social and cultural functions aswell as some other activities to promote the aims and objectives of the society. • The society will endeavour to raise funds for charitable purposes as and when possible and in demanding situations. • All activities of the society shall be non-sectarian and non-political in the general sense. 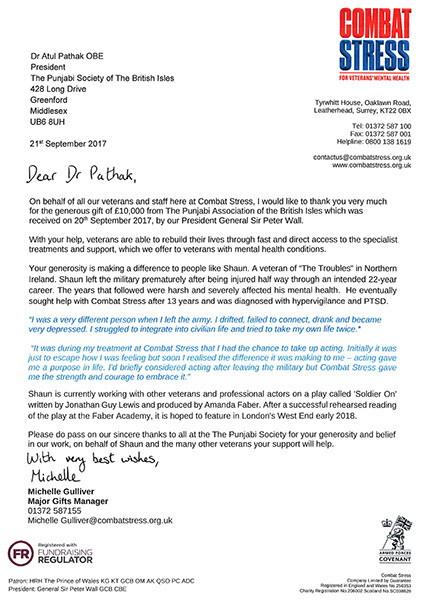 £10,000 to Gen. Sir Peter Wall for the Armed Forces Charity, Combat Stress on Sept 20th 2017. 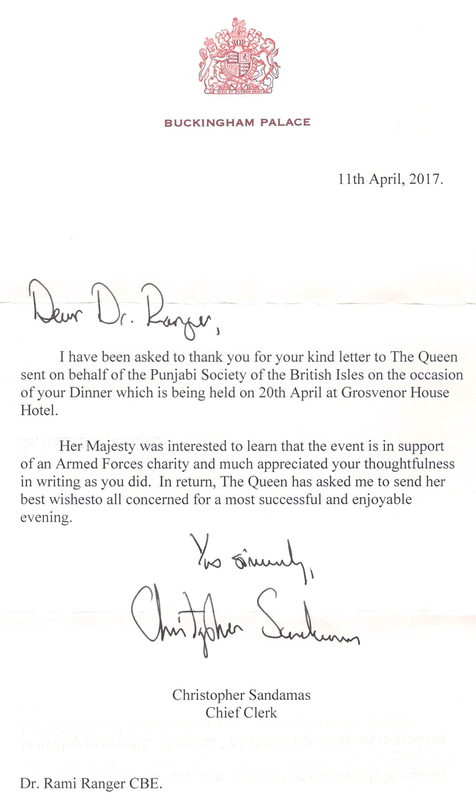 Letter from Her Majesty The Queen. 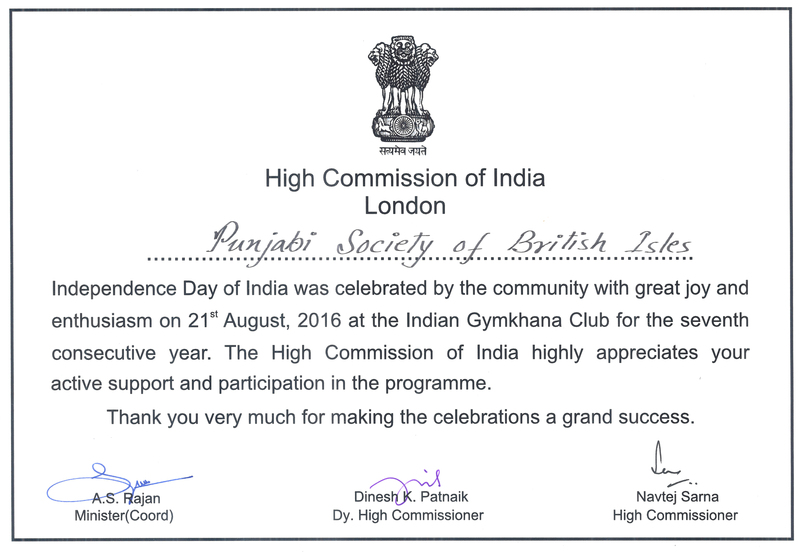 High Commission of India, London recognise the PSBI Support and contribution to Celebrate Independence Day at the Indian Gymkhana Club. 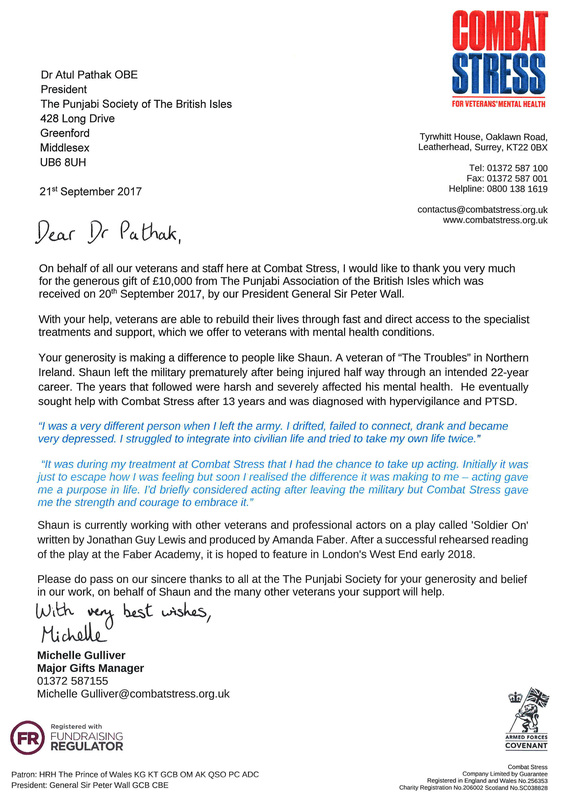 Please click on the image to downalod high resoluiton image.